Awesome dance by two Moroccan women. This is Chaabi dance which means popular dance. It’s the Moroccan belly dance. Enjoy! 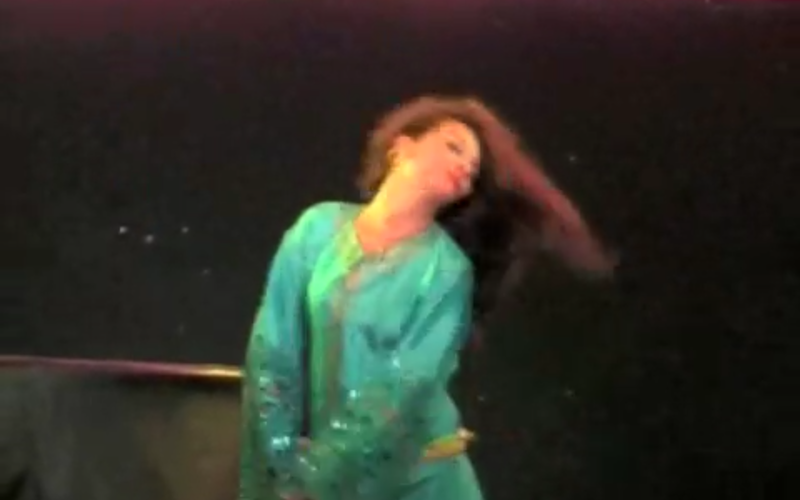 This is the second post for Moroccan Shaabi (Popular) dance because I love it. This is a different variation from the other one. She is wearing a moroccan Kaftan, which is a morrocan dress that is quite pretty. This dance is an Egyption ritual called Zaar or Zār, The dancer is wearing a khaliji thobe which is unusual, since thobes are worn in the Arabian golf not Egypt. Zaar is usually performed with a white plain dress. The purpose of the Zar is to cure mental illness through contact with the possessing spirits which cause maladies.